Home > ARENAWIRE > Answer to sustainable heating and cooling beneath our feet? Answer to sustainable heating and cooling beneath our feet? While the earth’s surface bakes in summer and freezes during winter, just a few metres underground temperatures are stable all year around. Warmer than the winter air and cooler during summer, an innovative project is embracing the consistent subterranean temperatures to heat and cool hundreds of homes in a new Western Sydney estate. In the first application of the technology across a housing estate, the Fairwater development is installing geothermal heat pumps in 800 premises across the new mini suburb. The technology underpinning the system isn’t new. In use since the 1940s, heat is exchanged between the surface and earth via a refrigerant solution piped through copper tubes that loop underground. Prior to each house being built at Fairwater, a large drill is brought in to excavate a hole up to 90 metres deep. The copper piping is added later, along with connections to individual pumps that exchange heat between the ground and each home. With temperatures beneath the surface in Western Sydney hovering in the low 20s all year round, the ground heat pumps can cool hot homes during summer and also provide heating when average daytime temperatures drop to the low teens in winter. Able to deliver energy savings of as much as 60 per cent, ARENA has provided $500,000 for Climate-KIC to lead a three year study to assess the project and build an evidence base for a large-scale deployment of the technology in new developments. The project team will include Fairwater developer Fraser Property Australia, Curtin University, University of Technology Sydney, Wattwatchers and the Green Building Council of Australia. ARENA is providing funding under its investment priority to improve energy productivity with renewable energy. ARENA CEO Darren Miller said the project will deliver a real-world demonstration of the potential of for geothermal energy to heat and cool households. “If the project is successful it will help the property development industry to better understand and market the system, potentially seeing further housing developments implement the renewable technology,” Miller said. “Adding ground-sourced thermal energy to new housing estates will help reduce energy consumption and cost as well as benefiting the network by lowering peak demand and the associated need to invest in expensive infrastructure.” he said. 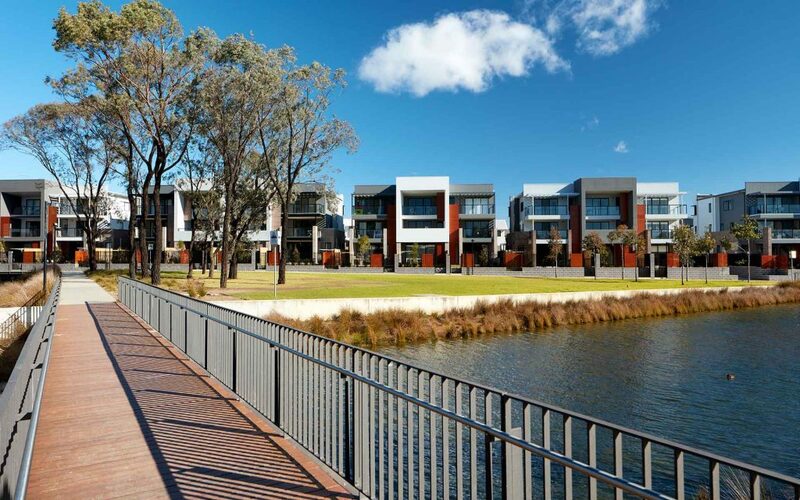 While each system adds between $3000 to $5000 to the purchase price of each property, dramatic reductions to operating costs will recoup the upfront investment within five years, according to the Fraser Property Australia who are leading the development. Anthony Boyd, an Executive General Manager at Frasers Property Australia says the research will provide important data for the industry to deploy geothermal technology effectively in communities of the future. “It’s the type of study that will help accelerate the pace of change the Australian property industry must embrace if, as a country, we are to meet our international climate change obligations,” Boyd said. For Climate-KIC Australia CEO Christopher Lee, the Fairwater Project represents a unique opportunity to measure, evaluate and understand new technologies. “The research will deliver a better understanding of the opportunities and barriers for wider adoption of the innovative geothermal heat pumps and other sustainable design features included at Fairwater,” Lee said. “Working with a proactive property developer, leading researchers, start-ups and industry bodies allows us to bring a broad range of skills to a complex project,” he said. The project is employing the ‘living laboratories’ concept of using existing buildings to evaluate performance of energy efficiency and sustainability initiatives.